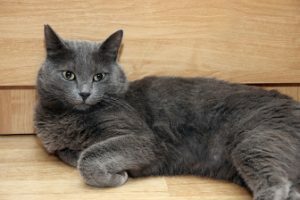 Silver-gray coat color of cats is rarely called banal gray: as a rule, it is called blue, although, of course, there are several different varieties of color and, as a result, types of names. In general, gray cats are distinguished by wool of a light or dark gray, pure and uniform shade without impurities of a different color. Directly blue colors include light tones with a slight admixture of silver, which are combined with the bluish-gray color of the paw pads and nose lobes. In addition, there are several other varieties of gray color, the main among which can be considered smoky (half of hairs are gray, and half, at the roots – white). As a rule, cats that have a silvery-colored gene are classified as varieties with a beautiful name agouti. This gene allows for the appearance of a pattern, an example of which can be the usual gray striped cat. Also this species may include a silver tabby cat – the picture is located on a completely white background, and each hair is divided into several zones by color – from the lightest to the dark gray tones. Also found gray-white cat. Its color can refer to such varieties of gray color as shaded (hairs are only 1/3 gray, and the rest are white) or chinchilla (hairs are painted gray in 1/8 parts). As a rule, all gray cats have the reputation of being very strong and at the same time, docile and phlegmatic animals. They are distinguished by an even and gentle character, as well as an outstanding mind and true devotion to their master. 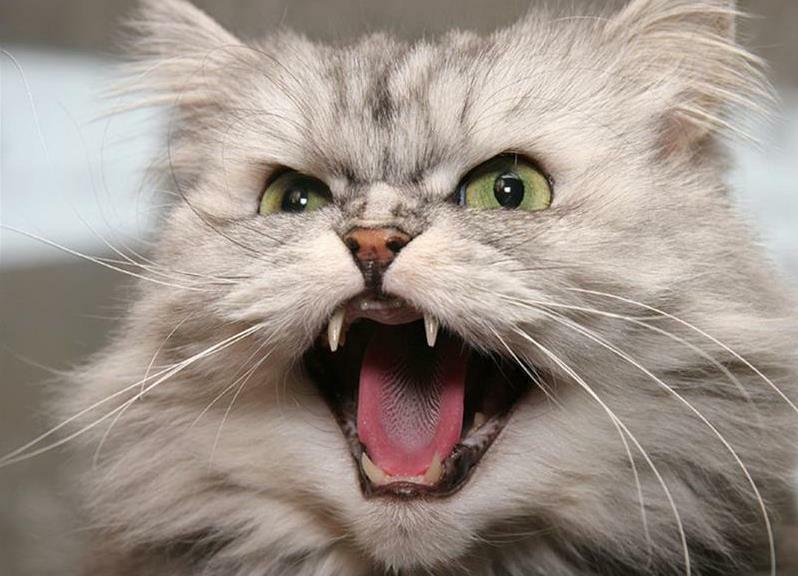 In addition, it is believed that a cat with gray eyes is always very affectionate and generous and does not differ in typical “cat” revengeful character. 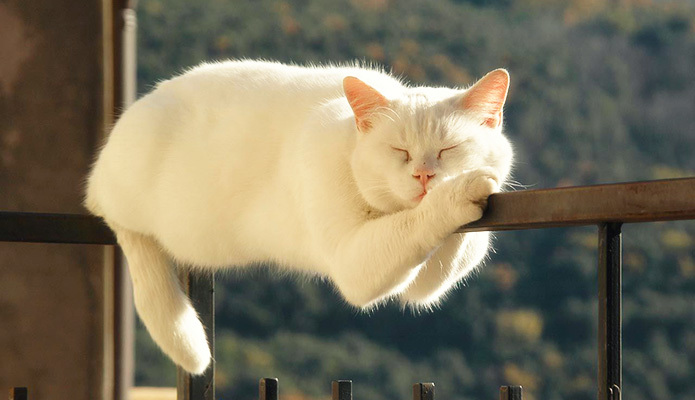 As a rule, most of all gray color is typical for cats of the British breed. The British gray cat can be distinguished by a bluish shade of wool, and also be either very light gray, or wear dark gray hairs. There is also a British blue-gray cat, which has very evenly dyed hairs – from weak to very saturated blue. This shade of wool is combined with orange and green eyes. Any impurities of color and spots, as well as uneven coloring of hairs are rejected. 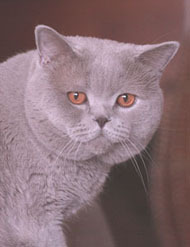 Another breed for which the gray color is typical is Persian. This is a gray, fluffy cat that can have both a pure gray color and its smoky or blue varieties. And, perhaps, the Persian gray cat is the only breed in the world that has just a huge range of gray tonalities. In this breed, there are also silver-black marble cats that have an original butterfly pattern on their shoulders, and silver-blue marble, and silver-chocolate marble, and silver-purple, and just blue marble cats. All species have very bright and unusual yellow, green, blue-green eyes. Cats of gray color are good not only with the unusual color of their amazing skin, but also with their extraordinary abilities. It is believed that the color is able to influence the character and give the cat a mass of hidden qualities, and in this regard, gray animals are considered to be no less popular than the magical black cats. In particular, folk beliefs claim that even the most ordinary gray cats are able to give their owner internal and external beauty and harmony. They are also considered the best guards of the house from the brownie, and sleeping with a gray cat is a warning to the sleeper that he faces some kind of trouble or even danger. At the same time, as the dream book shows, a gray cat is not always a symbol of these troubles, it only helps to prepare for them and overcome them with dignity. Gray cats are also believed to have healing powers. 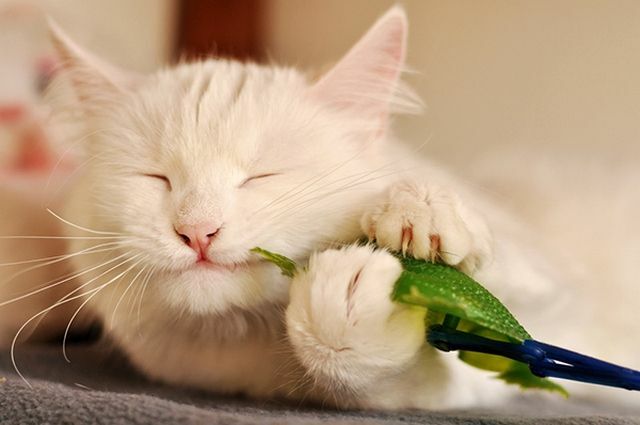 For example, they can contribute to the normal course of pregnancy in women, and gray-green cats can even treat their owners at night, allegedly using lunar energy for this.